Here are some awards for R&RJiS! 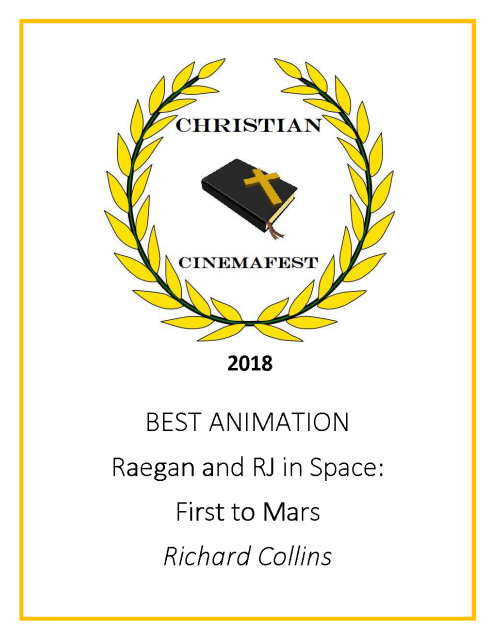 Raegan and RJ in Space: First to Mars' was in the Christian CinemaFest and received the BEST ANIMATION award! 'Raegan and RJ in Space: First to Mars' was in the Christian Family Film Festival in Ellington NY and received the BEST ANIMATION award!